The Best Texas blogs from thousands of top Texas blogs in our index using search and social metrics. Data will be refreshed once a week. Also check out Top Texas Youtube Channels list for Top videos on Texas. Austin, TX About Blog Covering Texas news, politics, food, history, crime, music, and everything in between for more than forty years. Facebook fans 251,688. Twitter followers 172,640. Austin, Texas About Blog The Texas Tribune is the only member-supported, digital-first, nonpartisan media organization that informs Texans — and engages with them — about public policy, politics, government and statewide issues. Facebook fans 106,431. Twitter followers 154,932. Texas About Blog Glasstire is an online magazine about visual art in Texas. The name is an homage to Robert Rauschenberg's sculptures of tires cast in glass. Facebook fans 22,658. Twitter followers 7,808. North Texas About Blog TX area properties for sale, save your favorites, and create property alerts for the neighborhoods you love! Facebook fans 16,611. Twitter followers 5,541. San Francisco, CA About Blog News, events, and general noise related to the great state of Texas! Facebook fans 1,163,728. Twitter followers 521,765. Austin, TX About Blog Your best source for quality Texas Longhorns news, rumors, analysis, stats and scores from the fan perspective. Facebook fans 77,069. Twitter followers 14,129. College Station, TX About Blog The Real Estate Center at Texas A&M blog where we share musings, ramblings and occasionally useful insights on Texas real estate. Facebook fans 3,234. Twitter followers 16,390. Texas About Blog Our mission is to create a community of East Texas moms both online and off. We hope to bring you support, encouragement, laughter and even events to foster a community of moms as we navigate our way through motherhood, together. Facebook fans 7,006. Twitter followers 487. Austin, TX About Blog The State Bar of Texas Blog, offering news and information for TX lawyers & attorneys on Rule of Law, justice, law-related education, MCLE, CLE, law licenses, the Supreme Court of Texas, the Texas Bar Journal & bar exams. Facebook fans 30,650. Twitter followers 16,931. Austin, TX About Blog Sharp reporting on Texas news, politics and culture since 1954. Facebook fans 54,432. Twitter followers 45,749. Texas About Blog Connecting people to information about how to improve walking, biking, and transit. Facebook fans 415. Twitter followers 913. Grapevine, Texas About Blog Book your vacation to Grapevine with the Grapevine CVB and find local restaurant options, hotels and upcoming events on their official travel site. Facebook fans 36,842. Twitter followers 5,665. College Station, TX About Blog Your best source for quality Texas A&M Aggies news, rumors, analysis, stats and scores from the fan perspective. Facebook fans 31,610. Twitter followers 45,561. Facebook fans 8,271. Twitter followers 4,388. San Francisco, CA About Blog Get all the news, photos, videos, links of your favourite team, the home of San Antonio Spurs fans. Facebook fans 1,006,264. Twitter followers 431,917. Texas About Blog The Texas Restaurant Association serves, educates and supports the restaurant industry in Texas. We ensure our members have the resources to succeed and grow. Facebook fans 4,697. Twitter followers 4,399. Texas About Blog Talking football, mostly Houston Texans football from the #1 interactive Texan fan website. Facebook fans n/a. Twitter followers 1,501. About Blog Tour Texas is your one-stop destination for Texas travel information. Free guides and tourism info. Facebook fans 9,333. Twitter followers n/a. About Blog Your best source for quality Texas Tech Red Raiders news, rumors, analysis, stats and scores from the fan perspective. Facebook fans 10,789. Twitter followers n/a. North Texas About Blog Your source for arts news, stories and events in North Texas. Art&Seek is a service from NPR member station KERA. Facebook fans 12,489. Twitter followers 11,337. Lubbock, Texas About Blog Features dining, lodging, meeting information, activities, and events. Facebook fans 33,289. Twitter followers 6,493. About Blog Michael De Leon founded Project Spurs in 2004.Always on the cusp of importing the latest technology to the site to positively deliver San Antonio Spurs basketball news to its fans. Facebook fans 1,609. Twitter followers 12,533. Austin, Texas About Blog TSTA will unite, organize, and empower public education advocates to shape public education in Texas, thus providing a quality public school for every child. Facebook fans 9,846. Twitter followers 5,249. Facebook fans 152,140. Twitter followers 38. Texas About Blog Arts and Culture Texas Magazine is a free periodical for the community with a focus on the contemporary visual and performing arts and how it affects life and lives in Texas. Our direct intent is to promote cultural commentary with ideas and opinions vividly expressed to engross readers. Facebook fans 12,576. Twitter followers 62,795. Austin, Texas About Blog CPPP is an independent public policy organization that uses data and analysis to advocate for solutions that enable Texans of all backgrounds to reach their full potential. We dare Texas to be the best state for hard-working people and their families. Facebook fans 6,442. Twitter followers 5,902. Texas About Blog Find out what makes us the top choice in home loans! Get your free and secure quotes for Texas home loans from the #1 Rated Mortgage Company In Dallas TX. Facebook fans 738. Twitter followers 1,868. DFW, Texas About Blog Brides of North Texas celebrates DFW weddings and connects brides planning to the best local vendors North Texas has to offer. Facebook fans 22,830. Twitter followers 2,470. Austin, Texas About Blog This blog on Texas education contains posts on accountability, testing, college readiness, dropouts, bilingual education, immigration, school finance, race, class, and gender issues with additional focus at the national level. Facebook fans 309. Twitter followers 1,652. Austin, TX About Blog We believe IT'S TIME to make healthy easier in Texas. Do you? Learn how to lead healthier lives and build healthier communities at www.itstimetexas.org. Facebook fans 16,826. Twitter followers 2,891. Texas About Blog a weekly newspaper focused on all things bookish in Texas; book reviewer at Kirkus Reviews and Foreword Reviews; freelance literary critic; copyeditor; public speaker; Texas Book Festival moderator; Permian Basin Writers Workshop moderator and adviser; and Books in the Basin panelist. Facebook fans 1,325. Twitter followers 4,008. Lone Star State About Blog Do you like craft beer, but feel the #DrinkLocal movement is important? The best way to do that in Texas is to follow this blog. It gives you information on upcoming events, product rollouts, brewery openings, etc. throughout the entire state. It is dedicated to the Texas craft brewing scene that has been growing rapidly for the past 20 years. Facebook fans 633. Twitter followers 1,599. About Blog Learn about the real estate market in Central Texas, serving from Austin to San Antonio TX from Shawn Culhane, real estate expert, and also get updates on events & attractions in Austin! Facebook fans 3,472. Twitter followers n/a. 40. Texas Dad Blog | A blog for Dads and Families too! Austin, Texas About Blog A blog for Dads and families too! A Father of 3, parenting from the fathers perspective, traveling with kids, and events happening in Austin, TX and surrounding areas. Facebook fans 636. Twitter followers 4,132. All around Texas & beyond About Blog VintageTexas is published by author, blogger and wine aficionado, Russ Kane. It documents his tastes, travels, rants and raves. Follow and see the wonderful new world of Texas wine. Facebook fans n/a. Twitter followers 3,989. About Blog Carol C. Taylor is a genealogical and historical researcher with more than thirty years experience in the American South, primarily in Texas. 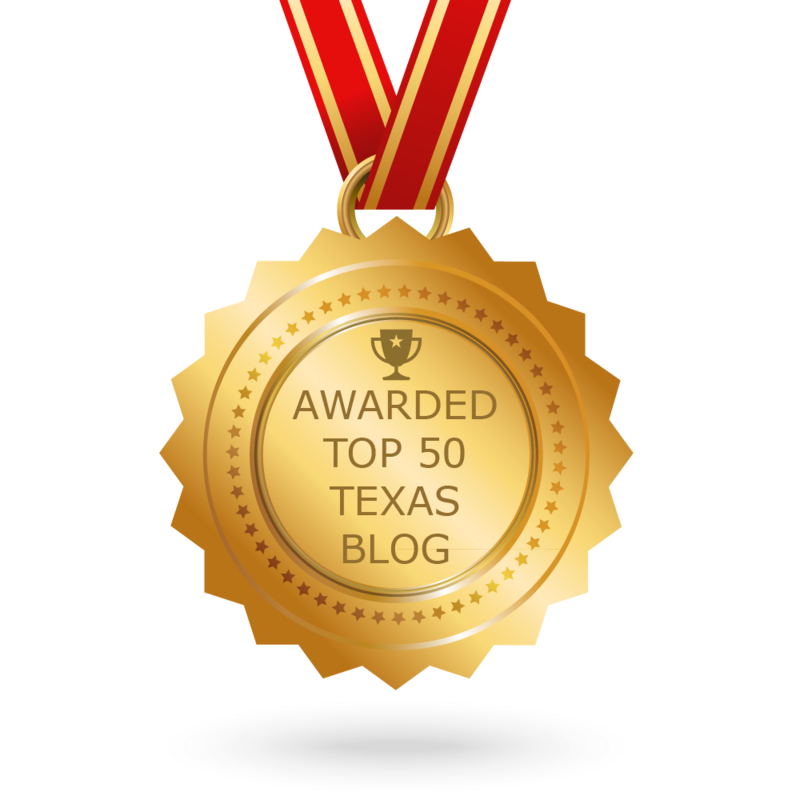 CONGRATULATIONS to every blogger that has made this Top Texas Blogs list! This is the most comprehensive list of best Texas blogs on the internet and I’m honoured to have you as part of this! I personally give you a high-five and want to thank you for your contribution to this world.